If you are attending the BMJ Careers Fair come and say hello to the South Tees Hospitals team. Whether you are an experienced Consultant, a Junior Doctor a Nurse or you’re just starting out as a medical professional, come and meet some of our fantastic South Tees colleagues and find out more about what we have to offer. Mathew Waters, Recruitment Business Partner, will be on Stand 68 and joined by Hannah Lindsey and Stuart Finn at the event from 19 to 20 October. 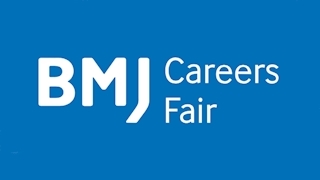 The BMJ Careers Fair is a two day medical careers event, held annually in London, which offers expert careers advice, guidance and support to all medical professionals. The Fair features over 80 exhibitors and six streams of seminars which are all free to attend. The event empowers doctors with the knowledge and tools they need to make decisions at every stage of their career. These sessions will look at changing career paths and planning ahead, exploring the diverse and exciting pathways where medicine can lead. A variety of sessions to develop skill-sets for managing the most common challenges doctors will face throughout their careers, such as mindfulness, time management and building resilience. Practical seminars on the core essentials to progress your medical career, from application processes to key interview skills. Find out more about progressing your career with the NHS, hear from Leadership Fellows to Chief Executives about the key roles and opportunities. Where could your career take you? These sessions will look at how and why you should consider working abroad. Come and hear from our expert speakers about working in a range of different specialties and what they offer so you can decide your next step.